The first week of June we had a great visit with Jay Simpson of Minnesota and Gary Moenck of Iowa. 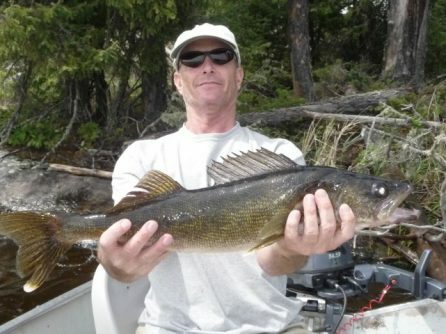 The two had a great fly in fishing vacation, catching two sizable fish at Onepine Lake. 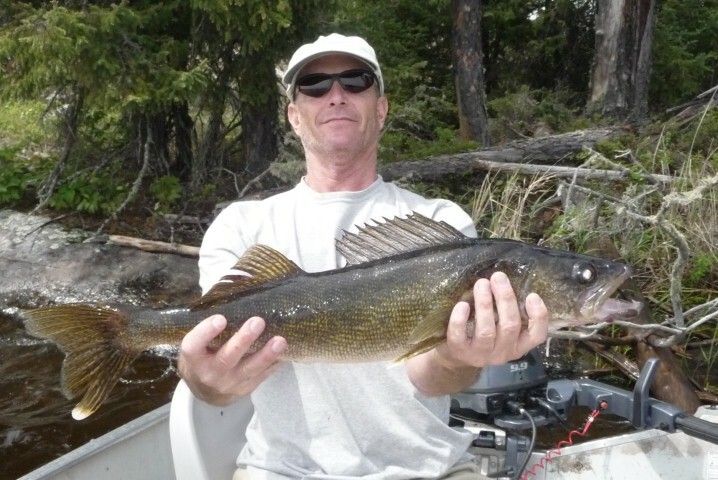 Jay caught a Walleye that was 26.5 inches long by jigging with a led head and twister tail. 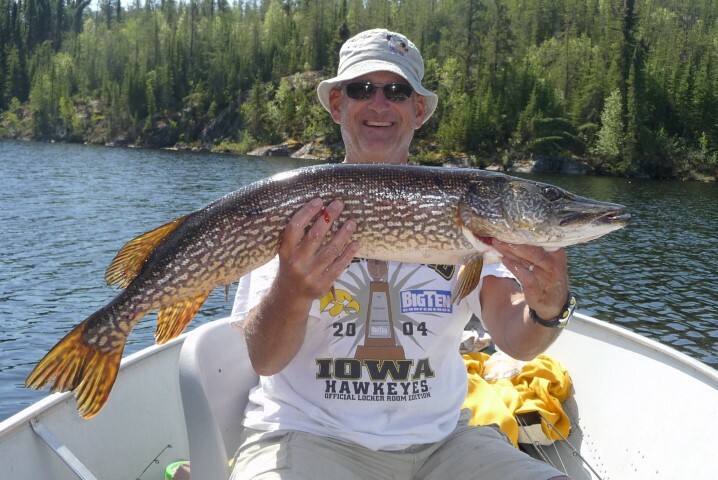 Not to be outdone by his friend, Gary caught a Northern measuring 39 inches long! 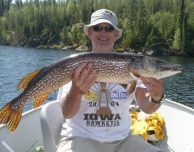 The Northern was caught on a red and white spoon. It was a beautiful and sunny day to be out fishing and we hope to see Jay and Gary back again sometime!